Hi and welcome to the Passport 2 Success podcast, where in this week’s podcast we’ll be discussing Emotional Marketing and how you can use this to leverage the addictive power of feelings to make people buy. But first we’ll bring you another tool we recommend giving a try, and this week’s tool is Pablo. The thought of any graphic design can make some of us sweat, which is why Pablo by Buffer is a great place to start. You can make your social media stand out from everyone else with beautiful images created from your text in under 30 seconds. Anyone is able to use this simple tool, honestly, it’s that easy to use. To find the tool go to https://pablo.buffer.com and try out this free tool. Humans are emotional creatures, some more than others but we can’t help that and the decisions and actions we take are largely based on the emotional states we experience. What us as marketers and business owners are able to do though is leverage the power of emotions to gain interest from your audience and encourage them to make a purchase. Sounds good right? All you need to learn is how to create the right psychological triggers in your content for your audience and when you do, your customers will kneel for your products. Some of the most common emotions can provoke these psychological triggers which include curiosity, anticipation and belonging. There is also a collection of darker emotions in the marketing arsenal such as fear and guilt, which you see played on so many times by insurance companies and charities. In an email campaign, for example, each email should provoke at least one of these emotions, if they don’t and are quite emotionless, then no one will be interested, you need to connect your customers with your brand through emotion. There’s a huge number of ways to trigger each emotion and there’s way too many to talk about in this podcast, we’ll be here for ages, so we’ll tell you about some of the ones we consider to be some of the most effective for marketing. First is trust, the reason why trust is at the top of this list is because it can be one of the most important areas to establish with your customers and without it, well customers will have a much harder time making the decision whether or not to make a purchase. Money is incredibly valuable and a limited resource to many of us and we’d rather not risk spending it on a rubbish product. But once we trust the seller, then it completely changes as it becomes much easier to whip our wallets out. If you build trust with your customers then you’re creating a better customer experience, which not only turns potential customers into converting customers but also means that they’re more likely to read emails, newsletters and overall experience what your business has to offer. A great way of this is building a personal brand, people trust people much more than companies. Social proof is important to display social proof to shows your clients that you’re not joking around. People care about reputation and social proof is a great way to show them that you’ve got it. Every now and then you should try and include testimonials, success stories, case studies etc. in your emails and don’t forget to have them throughout your website. By having social proof or using money back guarantees indicates to your customers that there’s a reduced perceived risk if they make a purchase. Let them know that if they have a problem then you’re there to talk to them and help clarify any issues. Let your followers know that you are human just like them. Show face pictures on emails, have a team page on your website, introduce employees or representatives etc. just to let them know that they are actually dealing with real people. The next emotion is belonging. Now everyone wants to feel as though they’re part of something, as though they belong there! Whether It’s a club, a family or a group. In order to ensure that you get the best possible customers there is, that raving fan who buys almost absolutely everything you bring out in the blink of an eye, you’ve got to create a sense of belonging among your customers, create a community. If you’re creating an email, here’s what you may want to consider when you’re creating it. You have to tell a story. Everyone loves a story as they’re a great way of communicating messages and making them stick in the reader’s mind. They can help provoke powerful emotions that will encourage your readers to click the call to action at the bottom of the email. You brand HAS to have a purpose, if it doesn’t then your customers won’t join in. You want to ensure that the people who are reading your emails have a need for your brand’s purpose and will be interested in purchasing it. You can’t please or appeal to everyone so don’t try to. You want to make it so your customers build a community around your brand which allows people to come and go when they please. The third emotion is hope. If you’re able to create hope and turn that into a purchase then your brand is doing pretty well. We all want something and we seek businesses in hope that they can provide to us what we want and when we’re choosing a product, we choose the one that we think will fulfil our needs the most. Not only should you let your customers know that there’s hope in fulfilling their needs, but also hope to solve their problems. For example, in your email campaign, you should show success stories that showcase the benefits people have seen in their lives after acquiring your product. You need to use copywriting to convince them that there’s hope for their problems and that the solution lies in your brand and products. Another great emotion which can really trigger interest is curiosity. Sometimes we all want to know what’s going on and we just can’t help it! Curiosity stems from our need to retrieve information and learn about the world. Curiosity drives us to get information and to trigger it, you have to provide the customers with some unexpected information, something that really peaks their interest. Don’t expect your customers to go find out information based on curiosity though, play it smart and give them just enough information they need to make an informed decision. As a whole, humans are pattern-seeking creatures and when something breaks the pattern, we take notice and it attracts our attention. A great example of this is the first iPhone, who’d have thought that you’d be able to listen to music, browse the internet and use it as an actual phone – it was completely different to what everyone else at the time was offering and it made us take notice. When you’re writing blog post headlines or email titles you want to trigger curiosity to encourage people to click on the post. You need to ensure that the headings or titles you create are unexpected and at the same time provide the readers that they can gain an incredible benefit from reading this email/blog. By using these emotions, you’re appealing and assisting towards you and your customer’s long-term goals. You’re making sure that your customers are receiving a product or service that solves a problem or helps with a solution in the long-term. You need to be sure that you use the right emotions to receive the best response and some emotions will work better in different instances than others, but you need to be the judge of that and potentially carry out some tests. How do your adverts integrate emotion? Did the last advert you ran include an emotional message? Pop a quick Yes or no in the comments below. 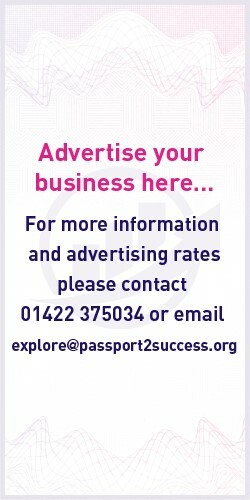 Or get in touch via the Passport 2 Success forums or on social media, we’re on Facebook, Twitter and LinkedIn. Thanks for listening to the Passport 2 Success podcast, check back every Thursday for new episodes and we’ll see you in our next podcast. 0 responses on "How To Leverage Emotional Marketing [P2S Podcast]"